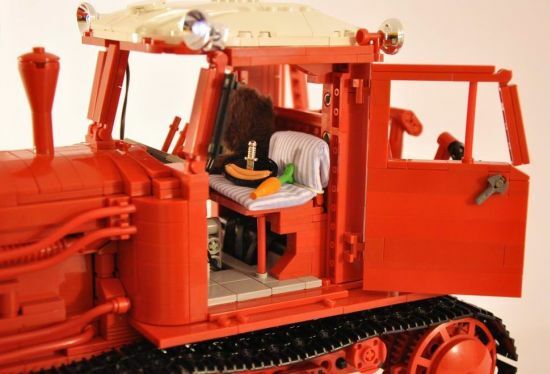 Check out the 1:13 scale Lego replica of the Belarus DT 75 Crawler Tractor, originally produced at the Volgograd Tractor factory. 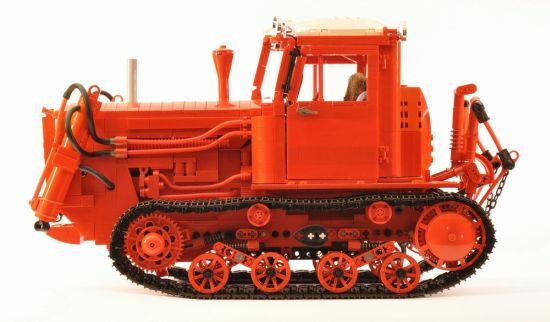 Dating back to the ’50s, the original had a robust track equipment based on that of an army tank. 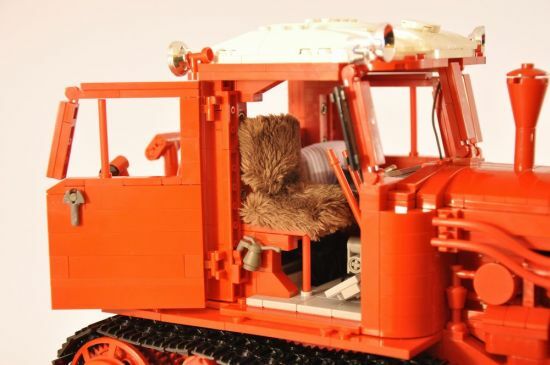 Thanks Dmac for revitalizing the raw beauty of this impressive beast with Lego bricks. 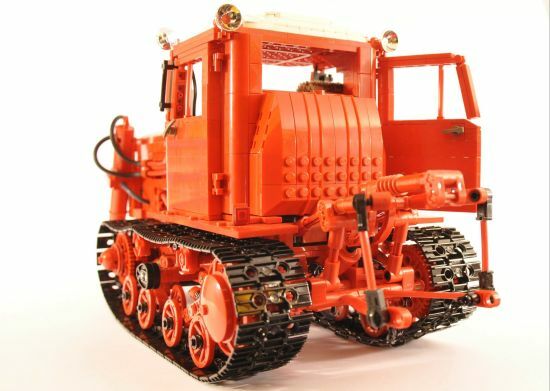 Moving this Lego beast requires two motors while two to operate the pneumatic system of the blade. More pictures and video after the jump. Wagon Wheel Hummer – Is that cool? Fake Ferrari – Looks are deceptive!